Have you got what is takes to join our team? 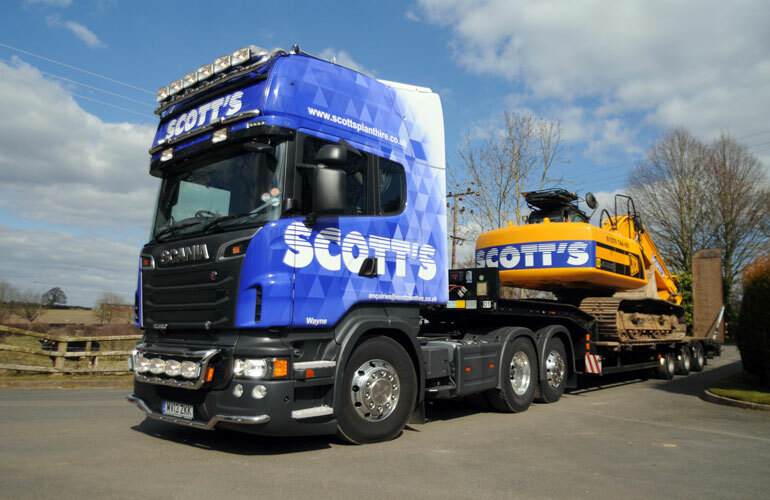 Scott’s Hire is one of the leading plant hire companies in the northwest with a huge range of equipment spread across the UK. We have a fast paced, honest and empowering culture. With a history of unprecedented growth, we strive to redefine excellence within our industry and our business continues to go from strength to strength. We are always looking for motivated, hardworking people whom are committed to going the extra mile to deliver an exceptionally high standard to our valued customers. You will be responsible for the delivery and collection of construction plant hire equipment up to 25 tonne, adhering to all health and safety guidelines. The completion relevant checks and delivery / collection paperwork. You may be required to demonstrate the item’s operation to customers, so training to a good standard of knowledge of all equipment will be given. The completion of walk around checks of HGV vehicle. Deal with customer enquiries in a professional and polite manner offering the highest level of customer service. Use the in house hire system interactively to take orders, ensuring that availability is checked first. Using your product knowledge, you will provide the customer with the best option for hire. Ensure all paperwork is checked and filed correctly. There will be additional paperwork including; employee timesheets, fuel sheets, damage sheets etc. which require being dealt with and filed accordingly. To stay up to date with all current vacancies please follow us on facebook!